Dr. Energy Saver Of Connecticut can help evaluate your home's air quality from the attic to the foundation. We can identify the source and prescribe the best solutions! 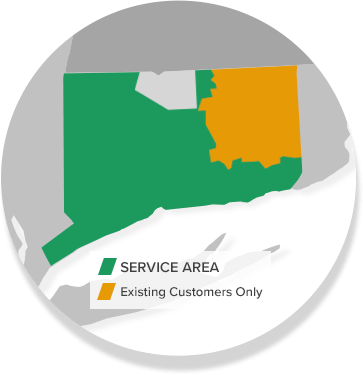 We proudly offer our services in Stamford, Norwalk, Hartford, New Haven, Danbury, Greenwich, and all surrounding cities and towns including New Canaan, Westport, Darien, Ridgefield, Hamden, West Hartford, and more. Also check out our home energy evaluation to diagnose your home's energy problems. Proper home ventilation, the second tactic for improving indoor air quality, helps in two ways. It introduces clean, fresh air while expelling pollutant-laden air -- and helps prevent excess moisture build-up. The American Society of Heating, Refrigerating and Air-Conditioning Engineers (ASHRAE) recently revised its ventilation standard to provide a minimum of 15 cfm of outdoor air per person. There are various ventilation strategies to achieve this, including kitchen and bathroom vents, and passive and active attic ventilation. The latter may not seem like it belongs in this list because it's separate from a home's living space but it's important. Attic vents (ridge, soffit, gable, etc.) is often where much of the polluted, moist air in a home is expelled. We are your trusted resource in Norwalk, Danbury, Stamford, Greenwich, New Haven, Hartford, Darien, New Canaan, Westport, West Hartford, Ridgefield, Hamden, and all surrounding areas!